All the benefits of a fresh lemon but so much more convenient. It is quicker, easier, more convenient and less messy. It also preserves all the flavour and the qualities of natural, fresh lemons. 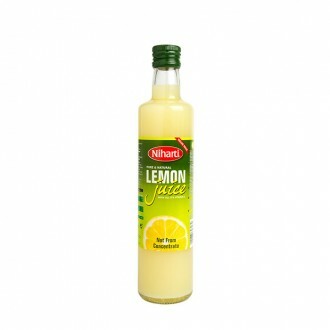 Niharti Pure Lemon Juice is 100% Pure Lemon Juice squeezed from fresh lemons with all its’ naturalVi..